Harper Williams chose the new R9 theme and combined with their vibrant and stylish branding we think this works really well. They have combined this with a Blog feature and some extra pages to cover all aspects of their business. 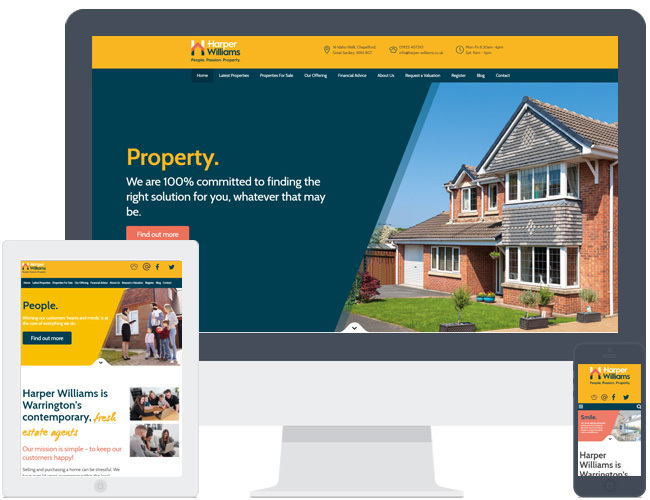 The new R9 themes provides the option for video or an image slideshow on the home page, along with bold property displays and an interactive Meet The Team page.